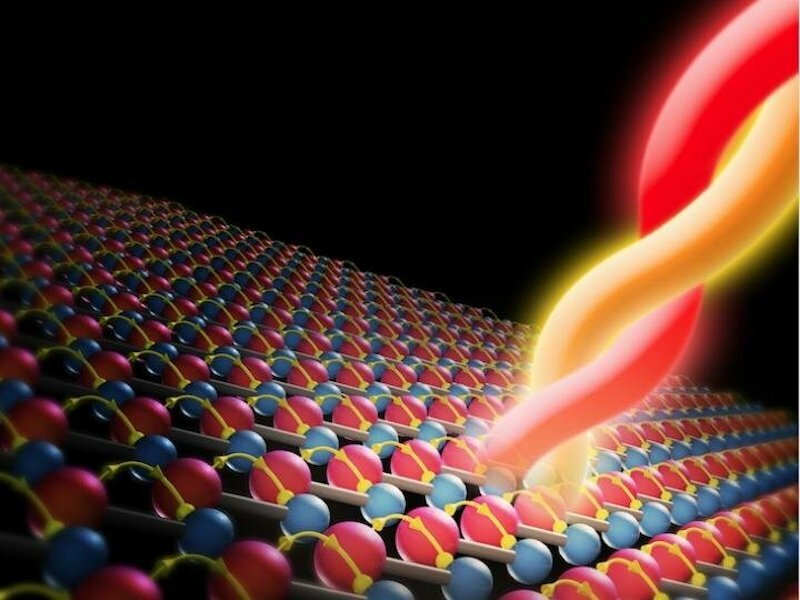 March 4, 2019 (Phys.org) -- A recently discovered Weyl semimetal delivers the largest intrinsic conversion of light to electricity of any material, an international team led by a group of Boston College researchers reports today in the journal Nature Materials. The discovery is based on a unique aspect of the material where electrons can be separated by their chirality, or handedness -- similar to DNA. The findings may offer a new route to efficient generation of electricity from light, as well as for thermal or chemical sensing. "We discovered that the Weyl semimetal Tantalum Arsenide, has a colossal bulk photovoltaic effect -- an intrinsic, or non-linear, generation of current from light more than 10 times larger than ever previously achieved," said Boston College Associate Professor of Physics Kenneth Burch, a lead author of the article, titled "Colossal mid-infrared bulk photovoltaic effect in a type-I Weyl semimetal." "Furthermore this is in the mid-infrared regime, which means this material can also be used for chemical or thermal sensing, as well as waste heat recovery," Burch added.